May 6 is a day devoted to raising awareness of the dangers of unbalanced diet. An unbalanced diet designed to lose weight quickly, or a diet based on too few calories, or the failure to eat some essential nutrients such as carbohydrates, proteins and fats, can cause the body irreversible damage. The No Diet Day was initiated by Mary Evans Young from England, a woman who recovered from anorexia, and has been celebrated since 1992. This day is actually designed to encourage us to accept our body as it is, without making harmful diets, even if we have a few extra pounds. On this day we should stop and think if the low calorie diets we do do not harm us or endanger us, and whether we get all the food, minerals and vitamins we need on our daily menu. 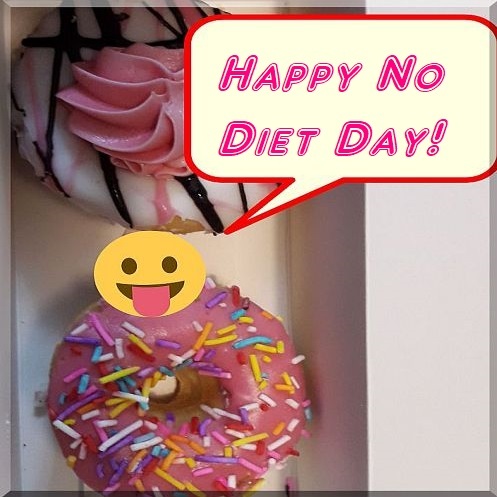 The No Diet day is marked by feminist groups in several countries around the world, including the US, Canada, Australia, New Zealand, India, Israel, Denmark and Brazil. To stimulate the discussion of whether there is only one "correct" body shape. Raise awareness of discrimination against high-weight people, and fat phobia. Declare a free day from diets and obsessions related to body weight. Present the facts about the diet industry, emphasizing the inefficiency of commercial diets. Respect the victims of eating disorders and weight loss analyzes. How will we celebrate this day? First of all, we will celebrate and love our body as it is. We will listen to our body and eat according to the signs of hunger and satiety it sends us. We will do a soul-searching about what we do to our bodies when we do diets as a meal. We'll think about the future, how we want our body to be in a few years. Do we want to be healthy as adults or sick and weak? We'll learn a little about why diets do not work. We will eat tasty and nutritious food that we love and will not regret it. While eating, we will chew well and concentrate on the taste of the food. While eating, we will do nothing else. Avoid talking about diets, weight and fat. We'll do something physical that we really like. Start loving your body on May 6th, say good-bye to the harmful diets and you know what, go on like this all your life, because your body is beautiful how it is!